Antiserum was cross adsorbed using bovine, chicken, horse, human, pig, rabbit and rat immunosorbents to remove cross reactive antibodies. 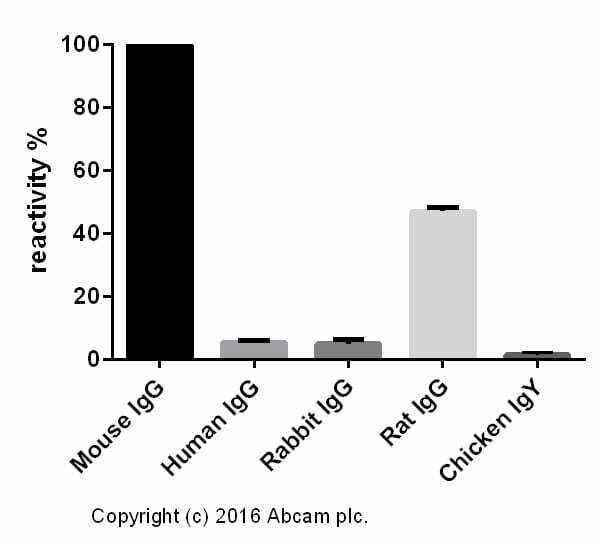 The antibody to mouse IgG was isolated by affinity chromatography using antigen coupled to agarose beads. Our Abpromise guarantee covers the use of ab150120 in the following tested applications. ab6326 stained in Hela cells. Untreated and BrdU treated (10uM for 24 hours) cells were fixed with 100% methanol (5 min) and then subjected to acid hydrolysis using 2M HCL in 0.1% PBS-Tween for 30 minutes at room temperature to denature the DNA. They were then incubated with PBS containing 10% goat serum, 0.3 M glycine, 1% BSA and 0.1% triton for 1h at room temperature to permeabilise the cells and block non-specific protein-protein interactions. The cells were then incubated with the antibody ab6326 at 5µg/ml and ab7291 (Mouse monoclonal to alpha tubulin) at 1ug/ml overnight at +4°C. 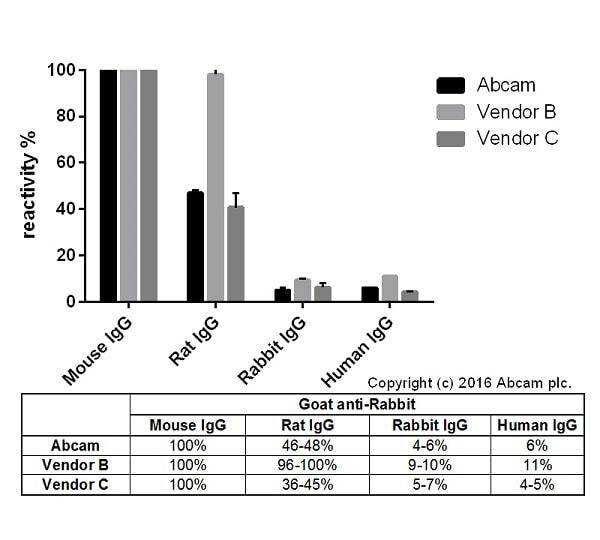 The secondary antibodies were Goat Anti-Rat IgG H&L (Alexa Fluor® 488) preadsorbed (ab150165) (colored green) used at 2 ug/ml and Goat Anti-Mouse IgG H&L (Alexa Fluor® 594) preadsorbed (ab150120) (pseudo-colored red) used at 1/1000 dilution for 1hour at room temperature. DAPI was used to stain the cell nuclei (colored blue) at a concentration of 1.43µM for 1hour at room temperature. ICC/IF image of ab7291 stained HeLa cells. The cells were 100% methanol fixed (5 min) and then incubated in 1%BSA / 10% normal goat serum / 0.3M glycine in 0.1% PBS-Tween for 1h to permeabilise the cells and block non-specific protein-protein interactions. The cells were then incubated with the antibody (ab7291, 1µg/ml) overnight at +4°C. The secondary antibody (orange) was ab150120 Alexa Fluor® 594 goat anti-mouse IgG (H+L) used at 1µg/ml for 1h. DAPI was used to stain the cell nuclei (blue) at a concentration of 1.43µM. The cells were fixed with 100% methanol (5min) and then blocked in 1% BSA/10% normal goat serum/0.3M glycine in 0.1%PBS-Tween for 1h. The cells were then incubated with ab134175 at 10µg/ml and ab7291 at 1µg/ml overnight at +4°C, followed by a further incubation at room temperature for 1h with an Goat anti-Rabbit Alexa 488 secondary (ab150081) at 2 µg/ml (shown in green) and Goat anti-Mouse Alexa 594 secondary (ab150120) at 2 µg/ml (shown in pseudo color red). Nuclear DNA was labeled in blue with DAPI. Negative controls: 1, Rabbit primary and anti-mouse secondary antibody; 2, Mouse primary antibody and anti-rabbit secondary antibody. Controls 1 and 2 indicate that there is no unspecific reaction between primary and secondary antibodies used. 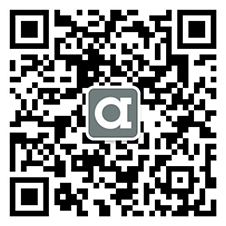 There are currently no Customer reviews or Questions for ab150120.